(reprise) The mini workshop a 'Harmony Session' for singing techniques. We shall rehearse for upcoming Christmas Party gig next Tues 12th Dec as list below. 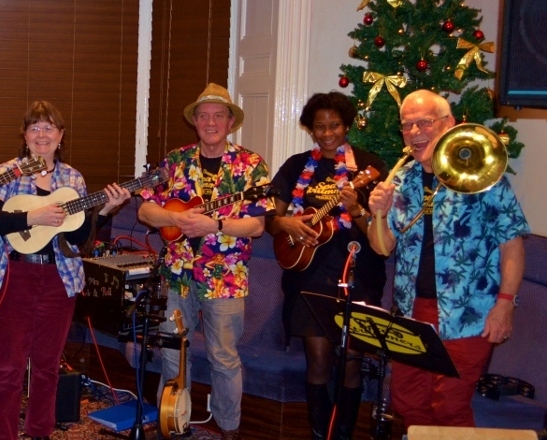 Christmas Island v2 is in the playlist, and that is the version we shall do next Tuesday, but Thusday John A will do play his slide uke on the song. 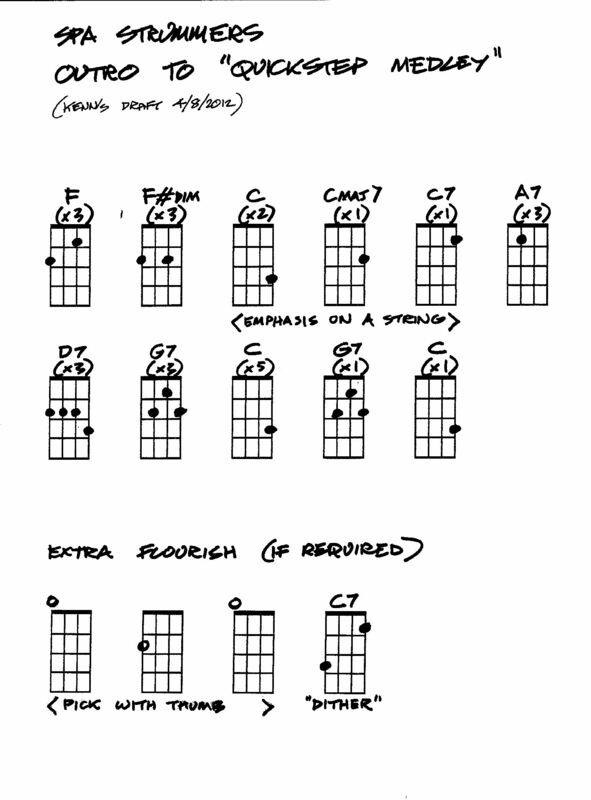 Here is an extra intro chord sheet to use alongside the main song. John has also provided an mp3 Bing Crosby version with the key lowered to C (so pitch doesn't sound quite right) for an example of how his slide fits in the song. We may be able to have 2 songs each, but probably start with 1 each and if time later, the 2nd. We could have some fun this week by playing some of the numbers from their songbook. On the Sunday there will be an extended busk. 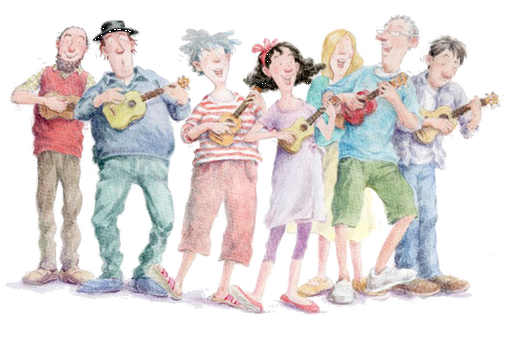 IF YOU WANT TO KNOW HOW THEY GO THEN EACH SONG CAN BE HEARD ON DR UKE'S WEBSITE." Massive thanks from all the ukers who are looking forward to this great fest - well done Stan ! The playlist will be used for both days - split into 2 sets. Some songs will be included both days, some only one. (dependent on mix of players). Have them all as one long playlist and we will just skip through as needed. 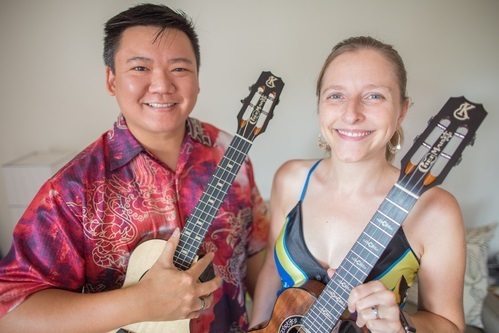 THE CRAIG CHEE AND SARAH MAISEL WORKSHOP /CONCERT on 12th July was a resounding success. We will have Terry I on keyboard this week to try a few things out and perhaps some drum backing rythyms. Great Balls Of Fire NEW " "
Be My Guest " "
Boogie Woogie Bugle Boy " "
This Thursday I shall be collecting the £5 per person for the June 22nd Severn River boat trip. Playlist - we have enough to last 2 sessions - we'll carry over to next week any that we can't do this week. To blow away those winter blues - we'll have a sprinkling of Seaside, Sunshine and Jamaica. Wake on 24th April at Wethele Manor. Cropthorne Walkabout on bank holiday weekend Sunday 5th May and Monday 6th May. Saturday 11th May concert at St Nicholas church in Warwick for Warwick Lions.